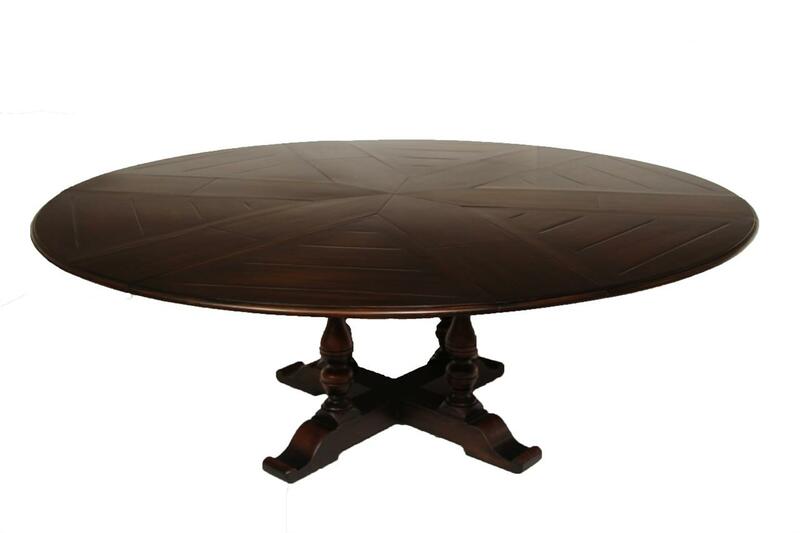 Description: Solid walnut 64 to 84-inch round to round expandable jupe table for casual, rustic and country settings. Heavy table with simple and easy to use self-storing leaves. Heavy table and very sturdy. Country turned legs and rubbed through ebony finish make this solid walnut table a great modernized country table for today’s designer home.